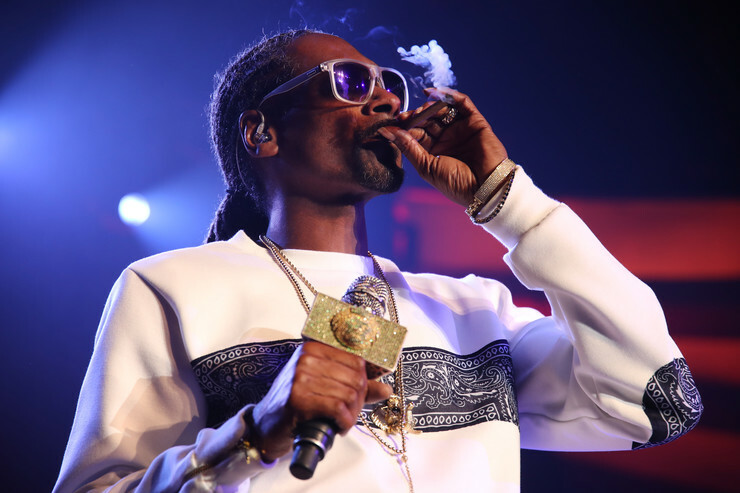 After announcing a new Snoop record would be dropping in May, the Doggfather took to social media to share the cover of his upcoming "Neva Left" album. The cover is pure Snoop, lookin' mad young and posted up by a California 187 street sign. "The evolution of the dogg," he called it, before announcing his "new album #NevaLeft comin May 19 !!" While the tracklist has yet to be announced, Itunes has revealed a single track, "Mount Kushmore" featuring kush enthusiasts Redman, Method Man, & B-Real. There's no denying the legacy of Uncle Snoop, and while he might not be in his prime, there's no doubt he can lace together an enjoyable project.